Synopsis: A woman and her family move to a military base, and she quickly becomes part of a cover-up involving nuclear bomb tests. Did You Know? Though filmed in 1991, Blue Sky was not released until 1994. It was shelved for three years, due to the bankruptcy of Orion Pictures. The actresses who play the daughters are really not very good. To be fair, they were teenagers, and probably didn’t fully understand some of their lines. Jessica Lange is one of my favourite actresses, but I didn’t see anything particularly noteworthy about her performance in this film. 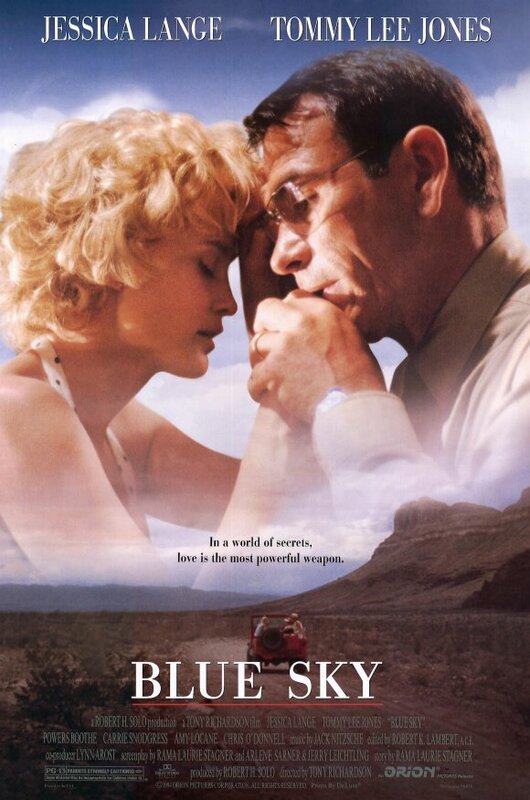 Tommy Lee Jones gives the best performance in the film, though it still isn’t of an Oscar calibre. As a whole I liked the movie, but it is far cry from a great cinematic work.